Wound coill assemblies made by Taiho Products are used by customers in various kinds of industries. We are not only good at winding coils based on customers specifications but we also can offer our proposals for better performance of the products. Click the following (1) - (4) for further information. * Coil Types: Bipolar, Unipolar, Air-Core, Bobin Fan-Shaped, Hexagon, etc. 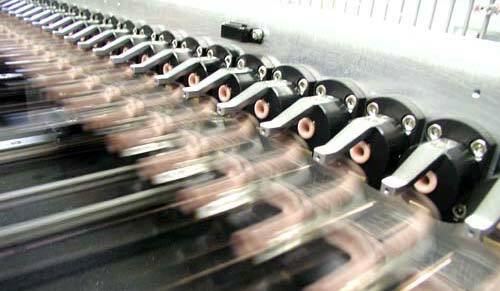 * Winders : Full automatic Winder, Flyer, Spindle and other Special Winders. Special specification like Wire connection to Cable or Pin is avalable. Colis for Stepper Motors, Scanner Motors, etc. Solenoid Valves, Electromagnetic Coils for Motion Control. * Efficiency : 75% min. Square wire 1.0 x 0.5mm - 8 x 4mm, Others. * with excellent high frequency property (1kHz - 500kHz). * with low loss of high frequency output (50mW/1W). Core material and coil winding with excellent superimposition propertiers. 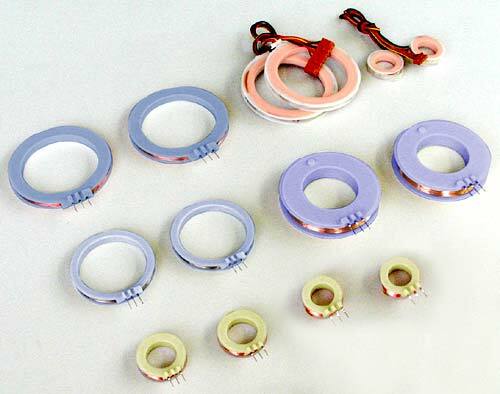 High quality edgewise coils can be made by Taiho Products. 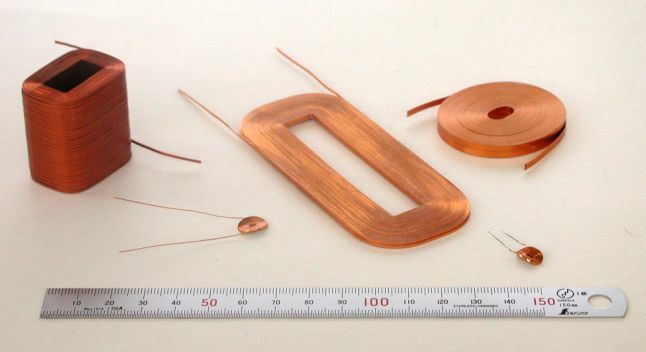 For example, a very thin edgewise coil with 0.3mm thick flat wire can be made without any wrinkles. Radio-Frequency Choking Coil, Smoothing Coil, etc. Power Supply for Office Equipments, Motion Controlling Equipments, Adapter, etc. * Examples with Taiho made Coils : ID Information detection, IC Card, etc. * Output : Designing and manucaturing based on custom specification is available. Edgewise wound coil of Flat Wire. 2. 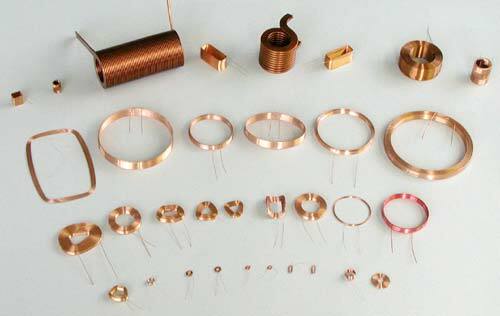 Applications and Actual Examples with Taiho made Coils. 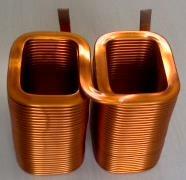 * Applications : Stator coil for direct attachment on a board, Compact hexagonal(multi-layered) coil, Specially shaped coil.